When I talk to other piano teachers, pretty soon they discuss their two nemesis, the very things that students seem to be completely oblivious to: reading and rhythm. 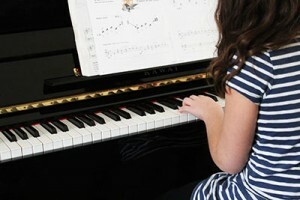 The story goes that, no matter what they try, students are not interested in reading, the metronome or a quarter note. And the younger the pupil, the less engage they will be in those subject. It is a plague for the teacher because they end up with students who can only rely on their memory to perform a piece with a wobbly rhythmic structure. If any piano teacher is reading this out there, they can attest to what I’m describing here. Only, there’s a big catch in this blog: my students love reading and rhythms. Especially the young ones. Yes, my 4 or 5 years old lit’l devils can’t get enough of the 8th notes and syncopation and ledger lines and bass clef, and dictation. They ask for those. They want to do those every lesson. I always have to fit an exercise about those concepts. I will confess something though: I might be good a teaching notes and beats, but it is not my favorite topic to cover. Why? Because when I do dictation, for example, I play the notes for one bar and then I have to wait for the student to finish writing said notes on their paper while the tip of their tongue sticks out of the corner of their mouth. I do it. I try not to complain about it (Although, the more one complains about anything, the more the students insist on doing it), but I don’t like to break the rhythm of the lesson. So the result is this: all of my students read. It is as natural to them as putting their hands on the keyboard to hear a note. I don’t push it, though, it comes naturally to them and me. Well, this is a blog you get for free, isn’t it? That secret ingredient in the sauce is priceless. So, my answer is this: there is a way to teach rhythm and reading to piano students, it is up to every teacher with his style and personality, to discover how to crack that riddle. As for me, when I hear piano teachers complain about their students lack of interest in those matters, I say nothing. Nobody likes a braggart.